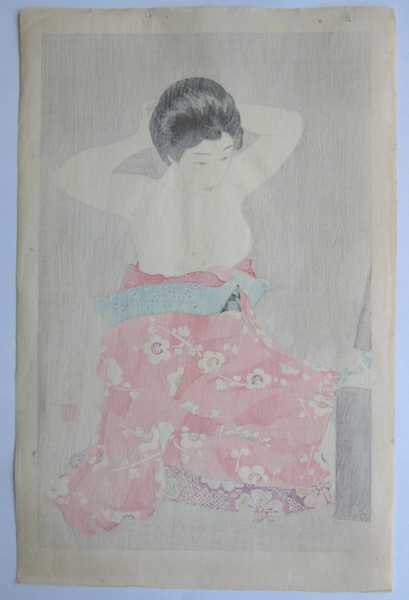 [Go Back] [New Search] Details for Torii Kotondo (1900-1976) "Make-up (At the Mirror)"
Size 18 x 11 "
Note from Ross: There are two colour variants for this design. For editions 1 to about 150 the kimono is tri-tone with red above the sash and light red/pink below the sash. The cabinet is a deep brown. The publisher seal Kawaguchi is in the left margin, and there are no printer or carver seals. 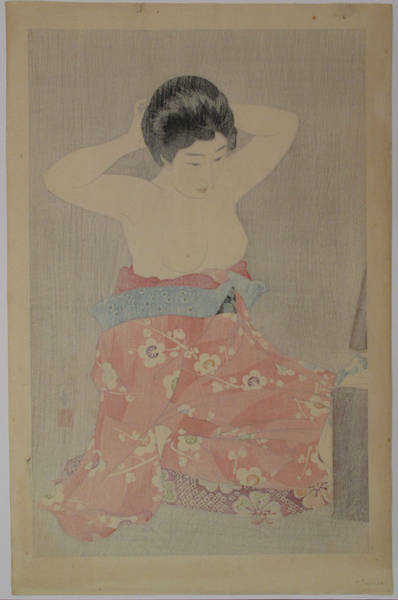 For editions after about 150 the kimono is nearly two-tone red/pink both above and below the sash. 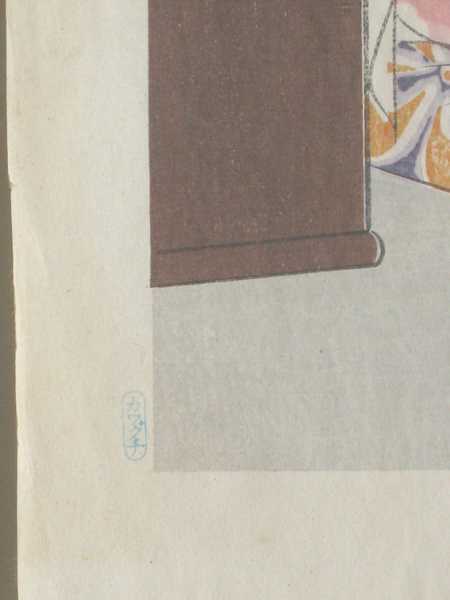 The cabinet is a light brown shade with strong sujizuri (swirls of printing with the baren edge). 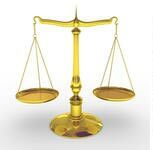 The publisher seal is in the right margin with printer/carver seals in the left. Note that this darker red often fades to a lighter pink.